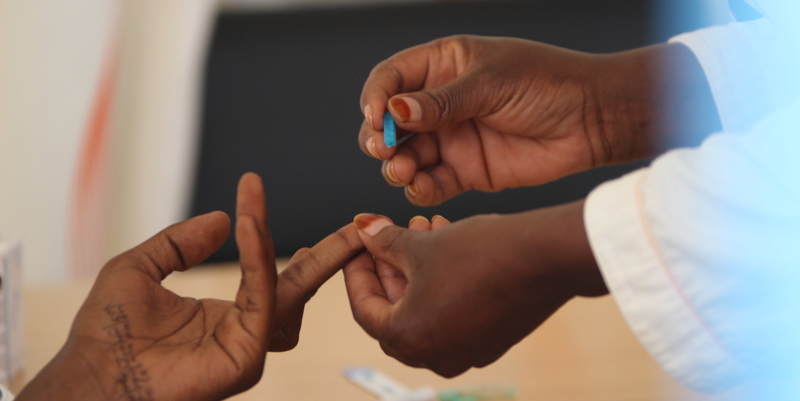 Testing for AIDS: A young woman is tested for HIV/AIDS. Photo by Martin Mugo Muiga/Horec Kenya, courtesy USAID Office of HIV/AIDS. Editor's note: This article is re-printed from W&M News. “Helping the government better target resources will be a significant win in combating the disease,” said Kathy Nolan, another AidData program manager on the project. Nolan will coordinate a Geospatial Impact Evaluation, a pioneering research technique that leverages satellite imagery, georeferenced survey and administrative data and machine learning tools to determine a development program’s real impact.